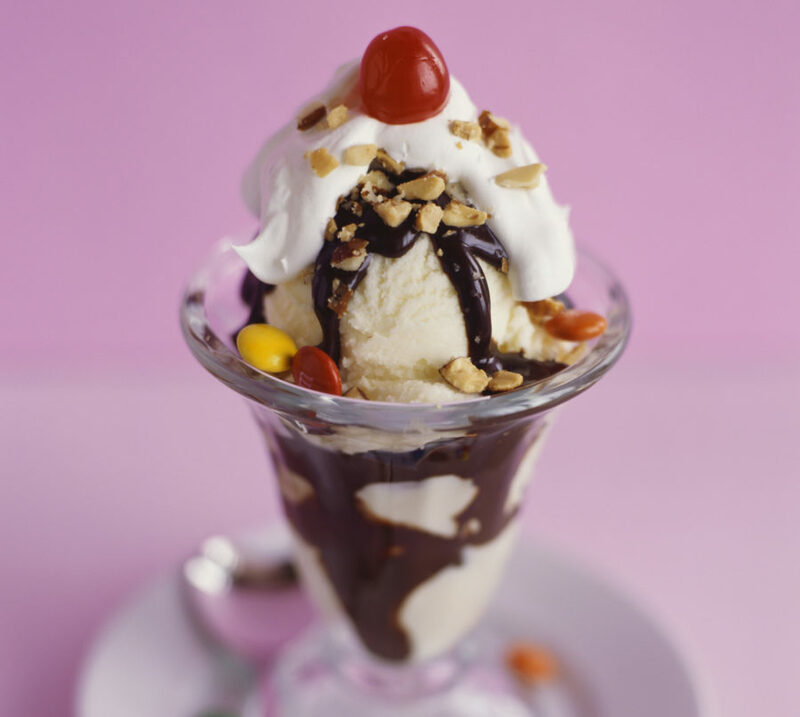 Most people would agree that you can never have too much ice cream, which is why the mile-long ice cream sundae created by volunteers at the Spirit of Texas festival in Wolf Pen Creek on Saturday will seem more like a necessity than an indulgence to people with a sweet tooth. Not only did the sundae feed fair-goers, it also earned the title of the World’s Longest Ice Cream sundae, dethroning the current record holder listed in the Guinness Book of World Records. Over the weekend, volunteers running the Spirit of Texas festival used 500 gallons of ice cream, 2,000 cans of whipped cream, and 20,000 cherries to complete the lengthy dessert, which measured in at one mile long. Festival guests pitched in to help complete the dessert but mostly ended up taking a bite out of the record-breaking confection. The record was previously held by the Nashville Business District (of Michigan, not Tennessee), which assembled a 3,627-foot long (which is not quite a mile long) sundae topped with sliced strawberries, whipped cream, and cherries. There are Guinness World Records for almost every type of food you can imagine: The largest serving of seafood tempura, the most pineapples sold in one hour, the tallest stack of waffles (no one has applied for any of those yet), even the largest wedding cake, which weighed more than 15,000 pounds. Most recently, a chef in Berlin broke the Guinness World Record for making a pizza topped with 111 different types of cheese. The pizza was officially recognized by the Guinness World Records organization, however it’s unclear if the Spirit of Texas festival had an official Guinness World Records judge on hand to measure and certify its creation. Either way, the mile-long dessert is a spectacular achievement and a testament to just how far people will go to show off how much they love eating ice cream.